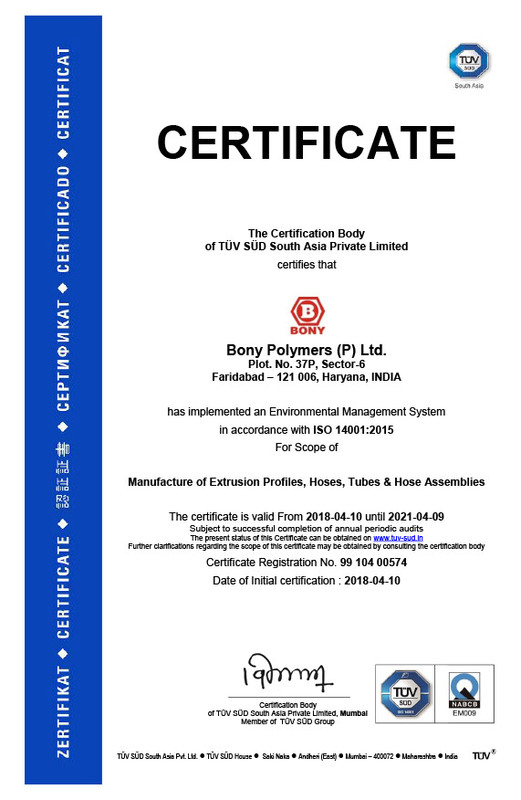 Bony Polymers has earned a reputation as a reliable supplier. 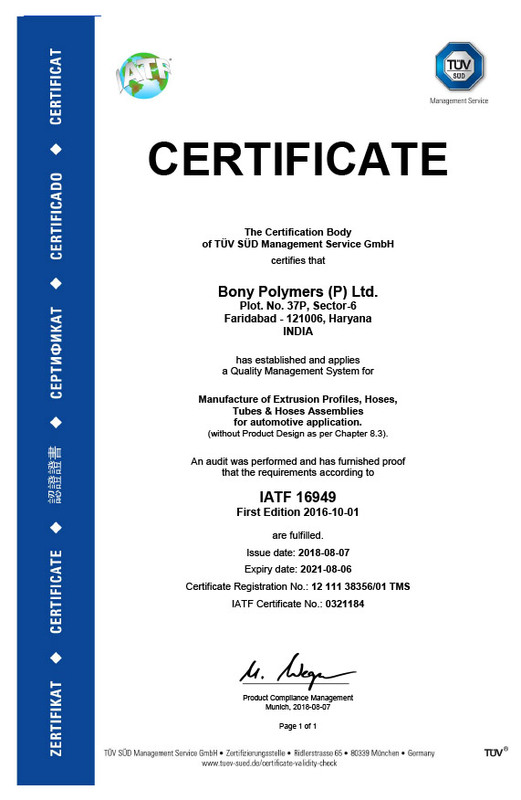 The Success of its product is demonstrated through various Quality Awards and Recognitions received from our esteemed customers. 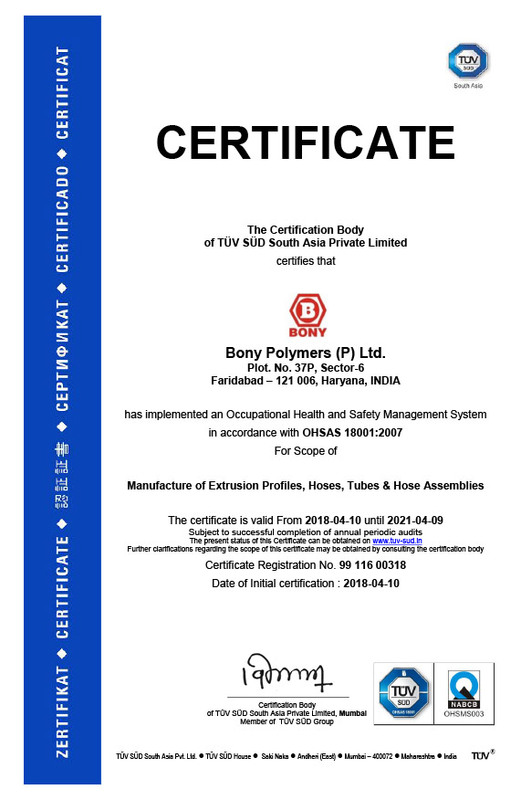 A skilled and reliable workforce, state-of-the-art machinery and testing equipments, dependable suppliers, backed up by worldclass work practices contributes in achieving product Quality which is best in its field.